This projects showcase the Spring Critters Stamp Set and coordinating Thin Cuts! 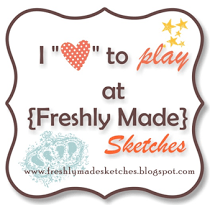 Welcome to the Everything ABC’s Blog Hop! For this hop we will be featuring the letter E. This may be the name of a paper, a stamp set or an embellishment. Whatever the crafter has chosen as their “E” element will be featured in their post. If you came from Tonya Whitehurst ~ Heart & Soul Scrappers then you’re on the right track! 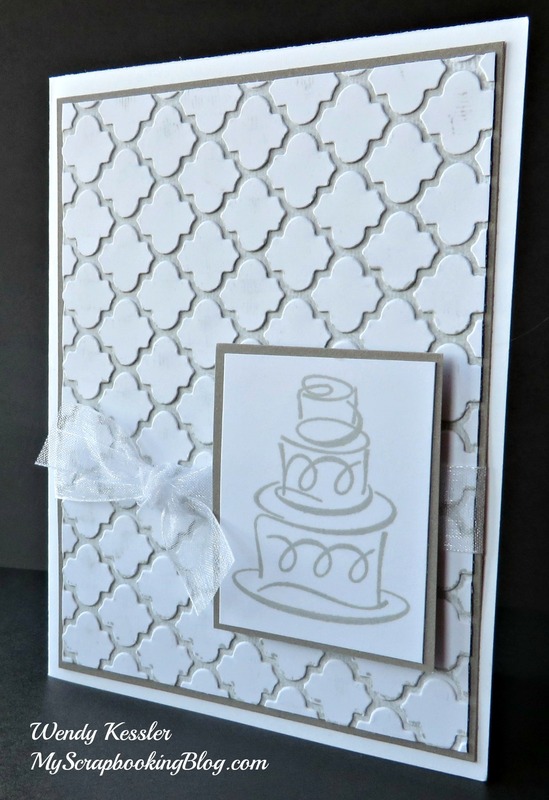 Supplies used are all Close to My Heart: Love Always Stamp Set, Slate Ink, White Daisy Organdy Ribbon, Cardstock (Slate, White Daisy), Quatrefoil Embossing Folder, Confetti Embossing Folder, and White Daisy Cards & Envelopes. I chose Embossing for the letter E. I haven’t done much embossing even though I like the look because my machine seems to have too much pressure and the images end up cutting through in parts instead of just embossing. While creating this project, I learned that if I mist my paper with a little water before embossing it loosens up the fibers in the paper and it embosses beautifully without any cutting! 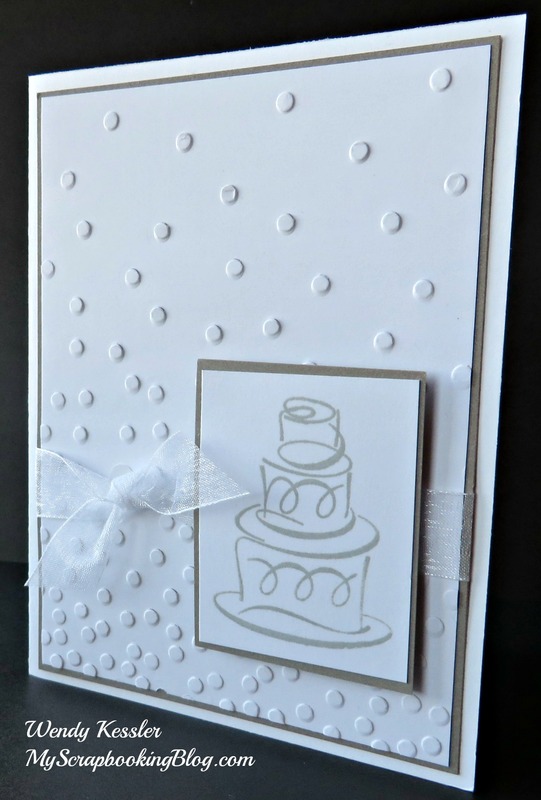 One the second card, I applied ink to my embossing folder before inserting my paper for a different look. The first one is my favorite. Your next stop on our Everything ABC’S blog Hop is Linda Norman- Scrappy Therapy. I made these goodies for this weekend’s dance competition. I used the Cricut to cut the letters (not sure which cartridge) and the Close to My Heart Aspire stamp set. 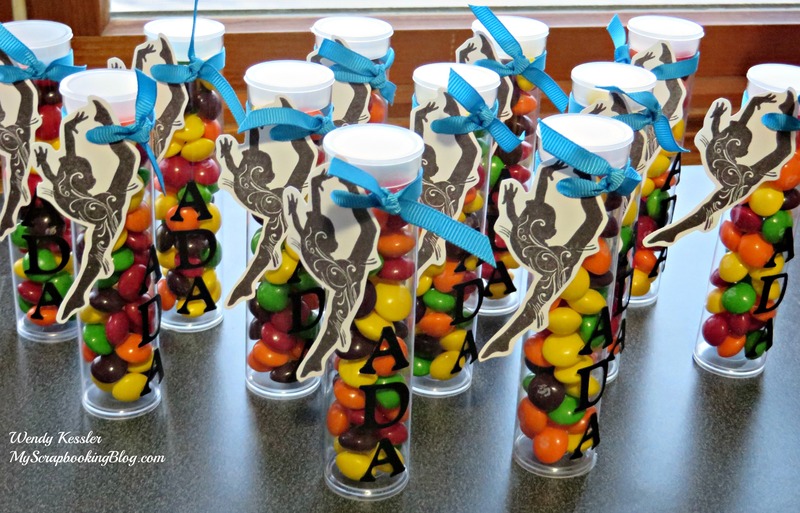 The treat tubes are also CTMH. I attached the letters with micro glue dots and they are holding well. The grosgrain ribbon is attached with a 1-inch glue line to hold it in place and then tied. Names will be written on the back of the dancer tag. My first filler choice was Sixlets in the dance colors (available at Walmart) but my daughter preferred Skittles. Another option would be to fill them with a variety of dance items like bobby pins, hair ties, etc. On April 8, we will be creating the Regatta Workshop. If you are in Club, this is the time to order. You need to order by March 4 by contacting me or joining the correct gathering on my website to receive it by the scheduled workshop date. With this kit, you will be able to complete three 2-page layouts (shown above). Additional Picture My Life Layout: To create the Picture My Life layout for this workshop, simply purchase the Memory Protector designs of your choice, Picture My Life cards, and Complements as desired. Additional Cardmaking Project: Make 8 cards, 2 of each design, using your remaining workshop materials and just a few extra supplies! When you place an order of $50 or more, you get the Stamp of the Month set for only $5. *The Stamp of the Month may vary depending on your purchase date. If you order online, it will be the month in which you are purchasing. If you order by contacting me, it will be Sunshine Birdies. *The Constant Campaign you qualify for may vary depending on your purchase date. If you order online, it will be the month in which you are purchasing. If you order by contacting me, it will be Stampaganza 2016!.